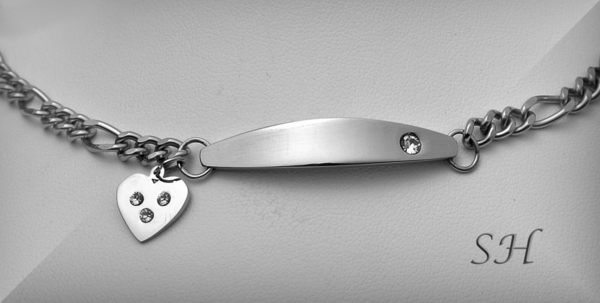 This Ladies CZ heart ID bracelet is the perfect gift for that special someone! Show your commitment with this memento of love and adoration. Let your sweetheart or best friend know just how much you care about them.